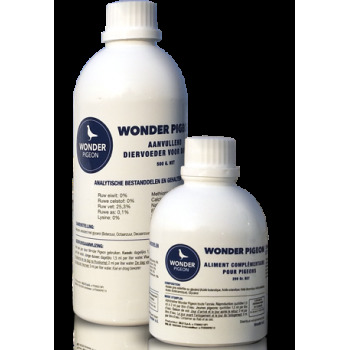 Pigeon supplement that improves bird health and vitality. 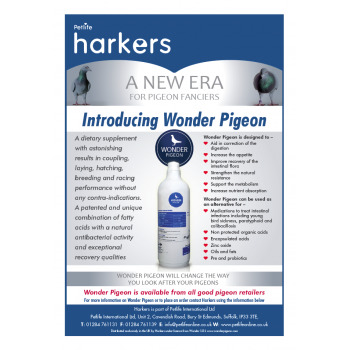 It will change the way all fanciers look after their pigeons! Harkers Wonder Pigeon is a liquid dietary supplement with astonishing results in coupling, laying, hatching, breeding and racing performance, and without any contra-indications. 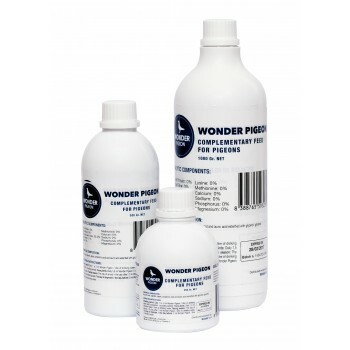 It is a patented and unique combination of fatty acids with natural antibacterial and antifungal activity and enhances recovery rates.